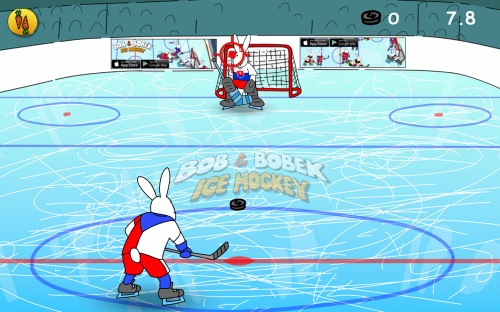 Description If you're fan of ice hockey this game is right for you. Shoot goals! Reach as many goals as is possible during 60 seconds limit. Controls Move player left [A or left arrow] or right [D or right arrow] until stick is centered behind puck. Click on screen and hold down left mouse button. Pull left mouse button to shoot.